I was just walking along the high, wooded bluffs of the Mississippi, near my home. While there's certainly no shortage of beautiful things to see and hear and feel, I found myself homing in on smells. 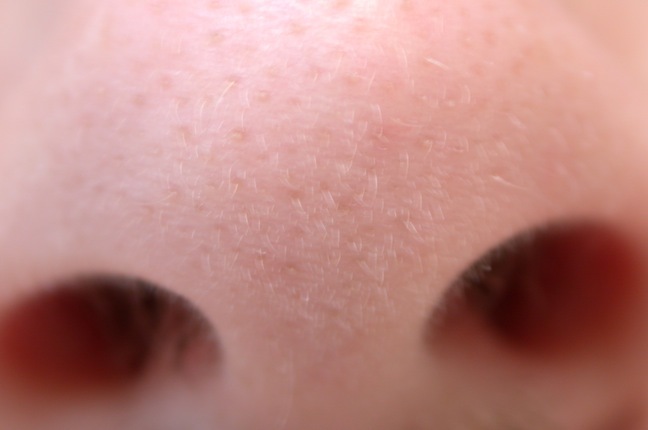 Spring's such an amazing time to explore smell, that most underrated of our basic senses. Starting with the demure crocus, followed by voluptuous hyacinth, intoxicating lilac and enchanting lily of the valley, it seems the olfactory banquet serves up a new course or two every week—and so it goes, through most of the summer. 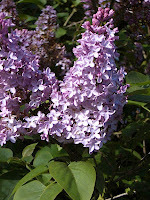 Today, now that many of those easy, early scents have come and gone, I was picking up on a couple of new ones. 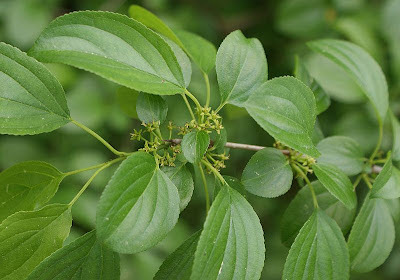 With a little research (grabbing anything that looked even remotely like a flower and putting my nose in it) I found that today's sweet fragrance was coming from the much maligned common buckthorn, an invasive shrub that's taking over vast tracts of forest understory, crowding out more polite species, including the hardiest of tree saplings. For such an unsavory sort, buckthorn does have that one redeeming grace: it smells great. Detractors might deny it, because you can put your nose right on one of the barely recognizable flowers and not smell much at all. But en masse, and given the right conditions, they conspire to put out a surprisingly sweet aroma. Here’s a simple exercise . . . check out every blossom you see and—you guessed it—smell it. Buckthorn's just one of hundreds of unexpected botanical scents out there waiting to be discovered. If you want to see for yourself, here’s a simple exercise. 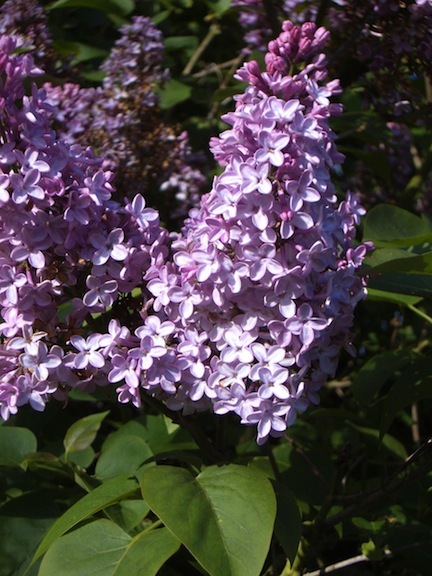 From spring through autumn, check out every blossom you see and—you guessed it—smell it. 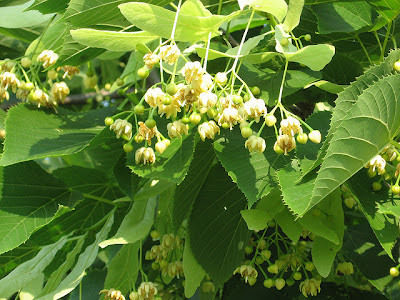 And my favorite under-rated blossom so far, that of the BASSWOOD tree – reminds my wife and me of how someone smells right after they step out of the shower. by the trees’ sweet, light fragrance. A single basswood flower, like one of the buckthorn's, may be quite small and produce very little smell. But find a tree—or, better yet, a grove of blooming basswoods—on a warm summer day and you’ll be transported by the trees’ sweet, light fragrance. We just discovered a mile-long row of basswoods running along a street in St. Paul, and can’t wait to walk or ride our bikes back and forth under it, bathed in that wonderful, intoxicating perfume. So get out there. Keep using all your beautiful senses. But don't let smell always get elbowed out by its more assertive cousins. Stop and close your eyes if necessary, plug your ears. Better yet, just set aside an hour or two and let Nature lead you around by the nose. Mil gracias, Dan! Thank YOU for pointing out that great, expansive poem. 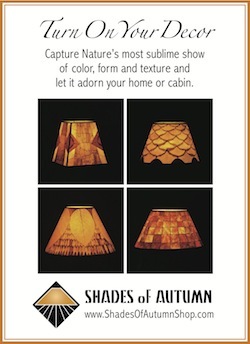 Yes, I see the reference to basswood toward the end. Fabulous smell!